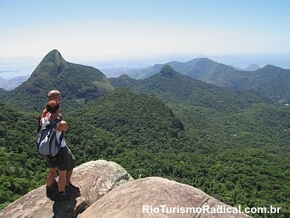 When visiting Rio de Janeiro it is almost impossible not to have a connection with the Tijuca National Park. 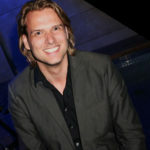 In the first place because the world-famous statue of the Christ the Redeemer is located in the park. But there are more reasons to visit the Tijuca Forest in Rio de Janeiro, besides the statue. The Tijuca Park was officially created and transformed into a National Park in 1961, while this name became official only six years later. It now covers an area of almost 40 square kilometers and therefore is one of the biggest urban parks in the world. We give you a couple of not-to-miss highlights when visiting the park. The largest waterfall in the Tijuca Forest in Rio de Janeiro is 35 meters high. 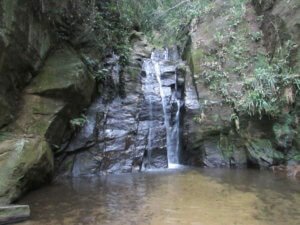 It is very easy to reach this great waterfall hidden in the middle of the city. It is only 500 meters from the entrance of the Park – near Afonso Viseu Square map. It is open daily from 8:00 am to 5:00 pm – tough in the summer it opens until 6:00 pm. Unfortunately it is forbidden to take a bath in this waterfall, but still, it is an incredible place to visit. Other waterfalls cover for the swimming and bathing part. Bico do Papagaio is a viewpoint located at the end of one of the many trails inside the Tijuca Forest in Rio de Janeiro. With 987 meters, it is the second highest peak in the park. The best way to get there is to take a car to the starting point, Largo do Bom Retiro map. Once at the beginning of the trail, there will be multiple paths to follow, all leading to different points with different views. The Bico do Papagaio trail is described as hard, among others that are medium to easy. It takes about one hour to complete, and forty minutes to return. The first third of the trail is mostly walking and easy to get past. A sign indicating where to go after that marks an incline uphill, breaking the first sweat. Lastly will come the toughest third, that demands a bit of climbing, unleashing the animalistic side of the participants; it includes a lot of rocks and branches to push through. Along the way is a cave, that has already been visited as there is graffiti in the inside of the walls. By the time the view is already in sight, anyone who has partaken in the activity will be drenched in sweat. The view exposes the western part of Rio, where among other things the Olympic Park is located. A well-deserved spot to unwind and take pictures after a tiring hike. 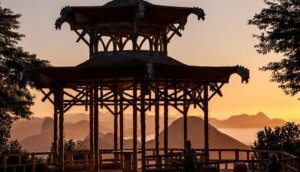 For those who want a beautiful view without having to set foot on a trail, the Chinese View (Vista Chinesa) and the Emperor’s Table (Mesa do Imperador) are offered as beautiful options, accessible by car. The Chinese View was built between 1902 and 1906 as a tribute to the Chinese who came to plant tea in Brazil. It was awarded the most recognizable Chinese structure out of China. 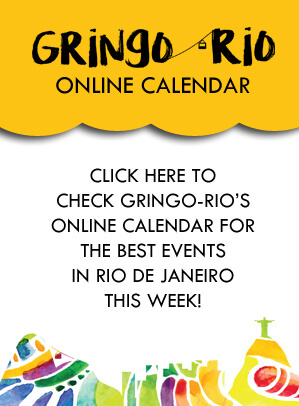 From there it is possible to have a postcard view of the city of Rio de Janeiro. A little way up the road is the Emperor’s Table, where D. Pedro II – the second king of the then monarchy of Brazil (between 1822 and 1889) – used to visit and, according to legend, had picnics, with the city as a backdrop. This is obviously the city’s main postcard. 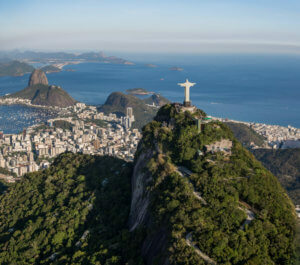 The monument is located on the top of Corcovado mountain, at 710 meters altitude in the middle of the Tijuca Forest in Rio de Janeiro. It offers an awesome panoramic view of the biggest part of the city. Inaugurated in 1931, the image of Christ the Redeemer is considered the largest art deco statue in the world. Visible from several points of the city and made of soapstone, it is 30 meters high, 28 meters from one end to the other and weighs 1,145 tons. There are two ways to get up there: by authorized van from Copacabana or Largo do Machado or by train, which departs from Cosme Velho station for a 20 minutes ride to the top. 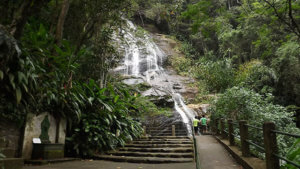 In the park there are some waterfalls where visitors can take a bath and renew their energies, such as the Cachoeira das Almas map, in the Floresta da Tijuca sector. With very few steep climbs and mostly a flat course, the Cachoeira das Almas is surrounded by the pure green of the Atlantic Forest, with its native plants and trees. The beginning of the trail is close to the Visitor Center of Tijuca National Park. But there are more waterfalls known as Primatas map, Gruta map and Quebra map, all three in the Serra da Carioca sector. 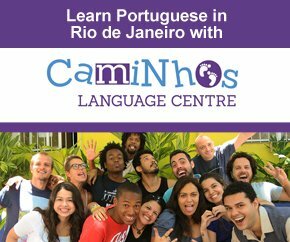 Definitely worth trying if you have a bit more time in Rio de Janeiro to enjoy some different vibe far away from the busy beaches.